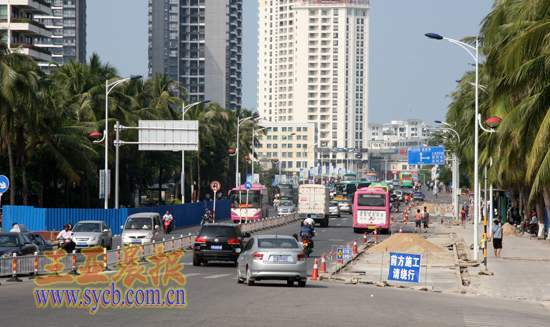 Yuya Road expansion project in Sanya is scheduled for completion before the end of this month, according to Department of Housing and Urban-Rural Development. Started from November 14, the project involves a stretch of 1,345 km from Phoenix Road to Jiefang 1st Road. The upgrades involve expanding each side of road to 3.5 meters and 4.5 meter respectively. In Sanya, Yuya Road is a major city road section. As more vehicles are running in the city, the 16-meter-wide road can hardly meet the increasing traffic demand. At present, the expansion work is nearly completed and this widening project will help alleviate traffic congestion, especially during the rush hours.